This week on Nailpolis Magazine, we interview Nailpolis member Erin about her nail art, tips, and how nail art makes an impact in her life. 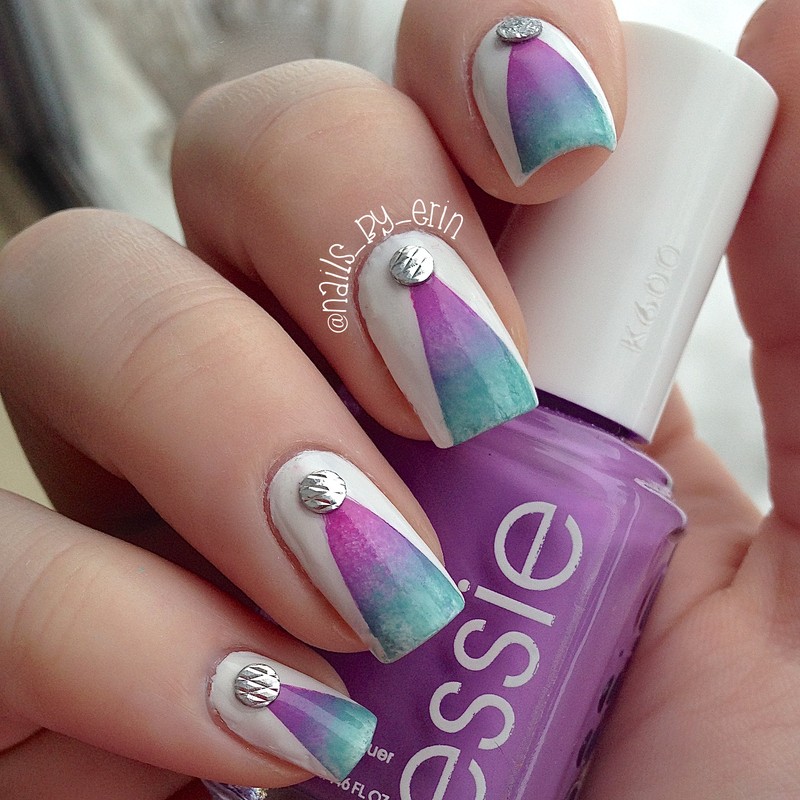 She may only be 15 years old, but her nail art is already inspiring a large audience! We can’t even imagine where her talent will take her a few years from now! I am very quiet, but since my nails are often a conversation starter, I’ve definitely become less timid and more open about sharing what I love. Hi! :) I’m Erin and I’m 15 years old, turning 16 this August. I’ll be a junior in high school next year. I’ve always loved to create and make art since I was little. My nail art obsession didn’t really begin until I was about 13, but I used to paint my nails silver with hot pink polka dots when I was 7! Other than my nails, I also enjoy music (I am a part of my school choir) and I also like to sew in Fashions class at school. 2. When and how did you get into nail art? When I started high school two years ago, I was really disappointed to not get the opportunity to be in an art class. My guidance counselor was unfortunately not able to get one into my schedule. Art has always been my favorite school subject and I’ve taken it every year in school, as well as being a part of the select artist program that does more advanced projects after school. I guess you could say that since I didn’t get to take art, I was looking for a creative outlet. So, I started getting into painting my nails! I had done nail art before, but nothing too fancy, just polka dots and flowers. I started doing some more difficult designs, especially for holidays. In February of 2013, I created my Instagram account after my friends convinced me to, and since then it has grown significantly and I’ve started making YouTube tutorials and blogging about nails. I was looking for a creative outlet. So, I started getting into painting my nails! 3. We we can’t believe you’re only 15 (and so talented)! How do you find ways to balance your time between school and nail art? Thank you! :) I’ll admit, it gets hard sometimes to balance everything. I just try and manage my time well so I can do what I love while still doing well at school. The rule in my house has always been that school comes first, and I work very hard to keep all my A’s and B’s as well as being on the honor roll. I get my homework done first and then do my nails. It works out well since there is a great incentive for finishing my homework! :) There have also been a few times where I will do my homework while doing my nails. I’ll paint a coat of polish, then do one subject’s homework, and then another coat, etc. I do my very best to have my homework done first, though. 4. 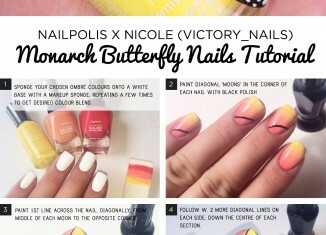 How do you usually come up with nail art ideas? I get inspiration from everywhere! I tend to get a lot of inspiration from patterns or clothes. For example, my Orange Floral nail design was inspired by the floral pattern one of my favorite tops. Sometimes I see a color combination I love that will inspire me to do a design like it. A lot of times, I do nails inspired by themes. Also in school, I will often get inspiration randomly from something I see, and either write it down in a note in my phone or draw out the design in my school planner. I get my homework done first and then do my nails. It works out well since there is a great incentive for finishing my homework! 5. 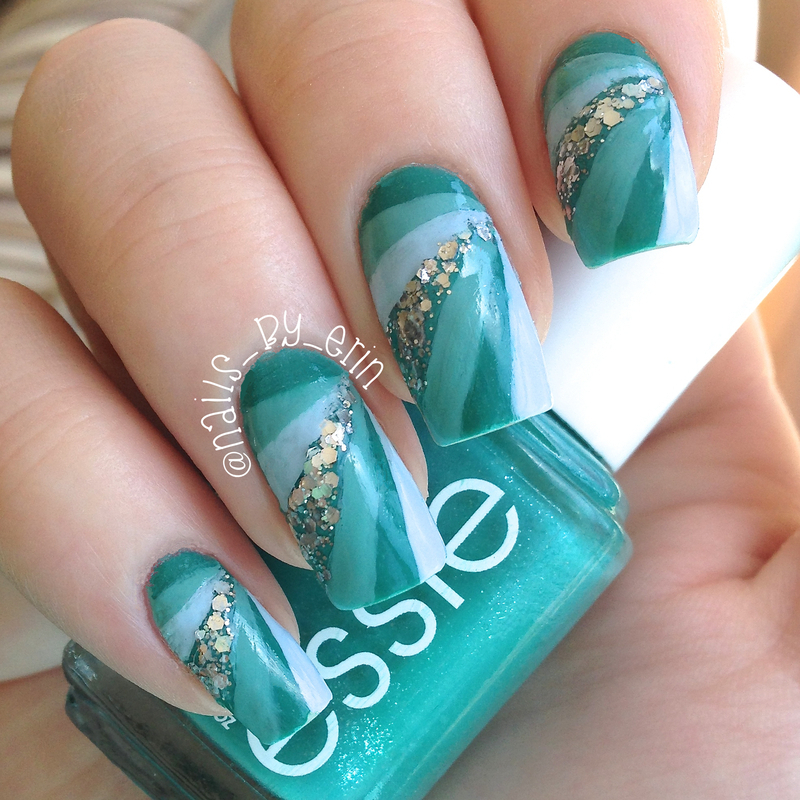 How long do you usually spend to complete a nail art design? My nail designs can take between 1 and 2 hours to complete, depending on the complexity. If I’m doing a lot of freehand work, it will take me longer, but a simpler design will only take me about an hour or less. 6. 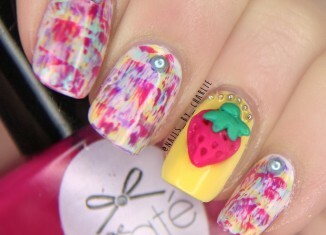 What are some staple products in your nail art routine? Any brushes, colors, top coats etc that you find yourself using all the time? I swear by Lush’s Lemony Flutter Cuticle butter as a part of my routine. It’s actually my sister’s, but I love it so much that I use it all the time! I think that nail care is one of the most important things about nail art, and moisturizing my hands and cuticles is something that I do all the time. For brushes, I usually just get paintbrushes at the art store and cut them down to a fine tip to do detailed designs. You can buy them pre-cut and specifically for nail art, but I think it’s easier to just buy paint brushes and then make them the size that I need. I also think that dotting tools are a staple product. I love mine (I got them on Amazon) and dotting tools are a must have for beginner nail artists. You can even make your own using bobby pins or sewing pins! The top coat I usually use is INM Out the Door top coat, but I also love Salon Perfect Crystal Clear top coat. Sometimes INM will smudge the polish, but I haven’t had that problem with Crystal Clear. As for colors, I love polishes that will go with anything and can be used in many different designs. I love using OPI Liquid Sand “Honey Ryder” which is a matte textured gold glitter polish. Since it makes the perfect accent nail and goes with almost the time and I love it! I think that nail care is one of the most important things about nail art, and moisturizing my hands and cuticles is something that I do all the time. 7. 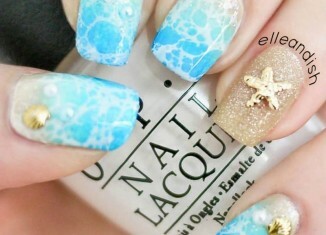 Do you use nail polish or acrylic paint for the smaller details on your design? It really depends. Most of the time, I use nail polish, but more recently I have been using acrylic paint. 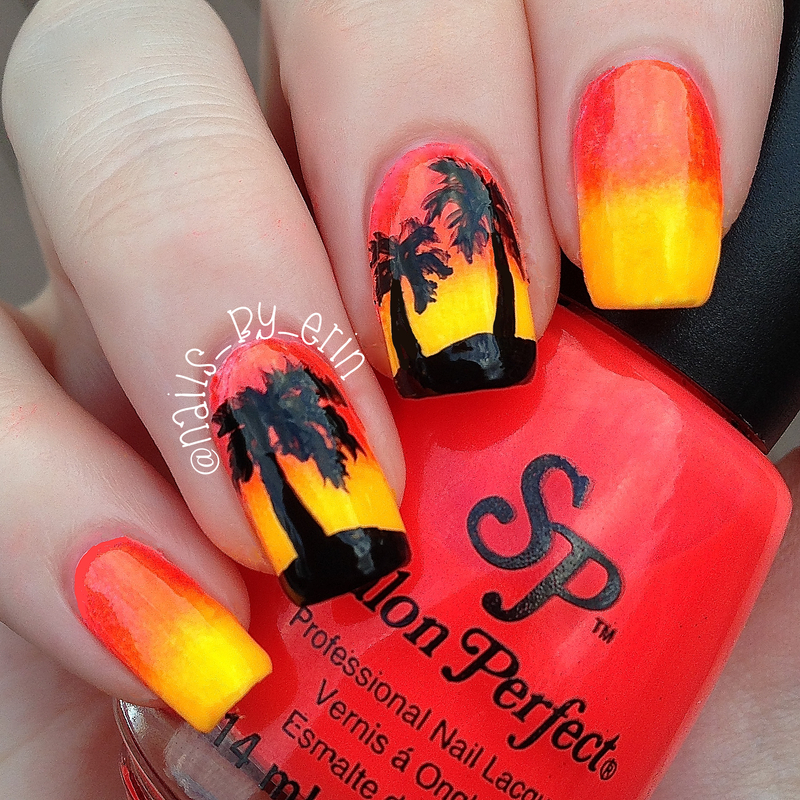 I used black acrylic paint to do the palm trees on my Neon Sunset Silhouette Nails, and the swirl in my Ariana Grande 60’s Inspired nails . There are a lot of benefits to using acrylic paint — for example, it’s easier to work with and to clean off of brushes. I think I am starting to like paint more, but I still use polish more often. 8. 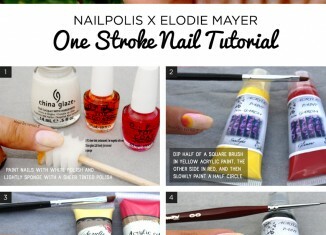 What’s a nail art technique that you simply couldn’t live without? I could not live without the chevron tape method!! I absolutely love chevron designs so the chevron tape method is one of my favorite things ever. I just cut clear scotch tape with pinking shears (I use the ones that cut fabric, because I find they are sharper) and then place them on my nail. Then I paint over it, peel off the tape, and then I have perfect chevrons! 9. Of all your designs so far, which one are you most proud of and why? That is such a tough question… I love all of my designs for unique reasons. I think the one I’m most proud of might be my Pink Heart Themed nails because they took me a really long time to do, and it was my first time doing cut out nails and glitter placement. Also, one of the things that made me so proud of them was how well received they were. So many people seemed to like them and I had so many wonderful comments about the design. 10. How many bottles of nail polish do you own? I own around 130 bottles of polish. I know that isn’t nearly as much as some bloggers or nail artists, but my friends and family still think it’s insane. My collection is always growing, though! 11. If you could only own one bottle of nail polish for the rest of your life (and I sure hope this never happens), which would it be? 12. What’s your favorite nail polish brand? 13. 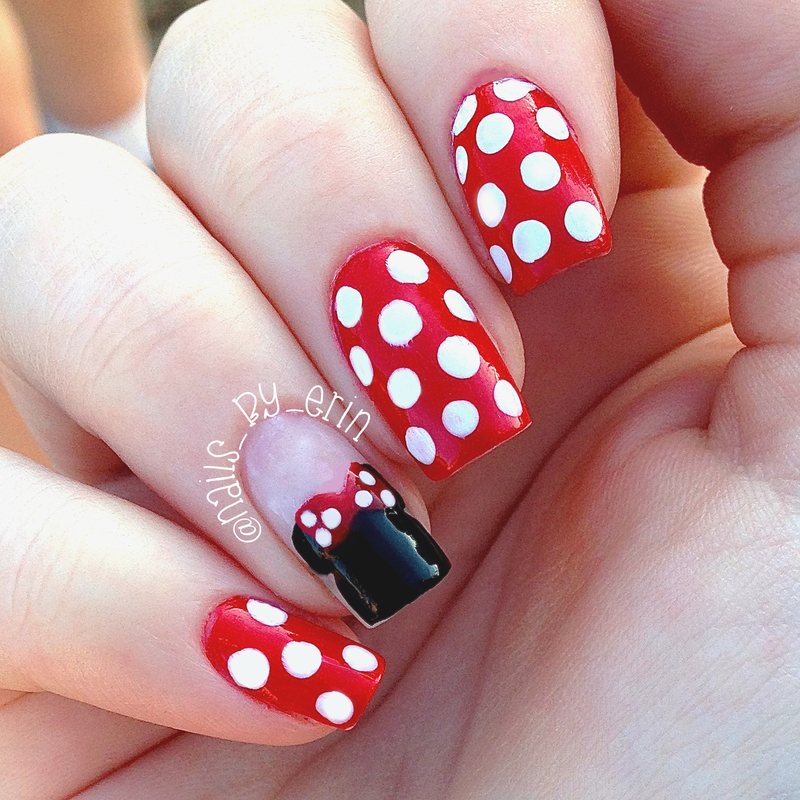 What is your #1 tip for someone who is just beginning with nail art? Definitely to clean up and to use top coat. I know in the beginning I didn’t do this, but it makes a HUGE difference. Top coat smooths your design and makes it look finished and polished (no pun intended) and clean up can instantly make your work look 1000 times better. Clean up can instantly make your work look 1000 times better. 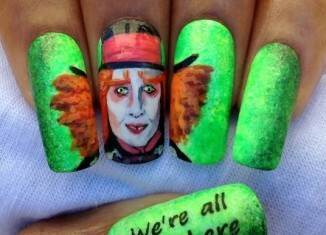 14. Who are some other nail artists that inspire you? I’ve been inspired by hundreds of talented ladies. The first nail artist that inspired me to do my own nail art was HannahRoxNails (formerly known as Pixiepolish). I saw her cupcake nail art tutorial and fell in love. Some of my biggest inspirations are the people that I follow on Instagram, especially those that I have become friendly with. Some of my best Instagram friends are @swiftpolish, @wannaknowasecret, @sabrinasnails, and @everything_nail_me_. All of them do creative, beautiful designs and they are so sweet and kind! I also am seriously inspired by @nailsofjessiek, the chevron queen, and @celinedoesnails. I just want to recreate every design they’ve done. 15. 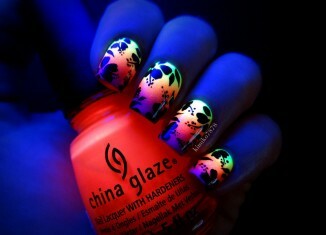 How do you think nail art has made an impact in your life? For one thing, it’s definitely forced me to go out of my comfort zone a bit. I am very quiet, but since my nails are often a conversation starter, I’ve definitely become less timid and more open about sharing what I love. I also have tried designs and styles that I never would have considered, like skulls and animal print. I love sticking to chevrons, florals, and gradients, but I think that because of nail art my personal style has really expanded. I’ve also worn bolder and darker colors on my nails, which is something I never would have done before (I tend to wear girly pastels). Nail art has become such an important part of my life and I’m so happy that doing something I love has gotten me where I am today! 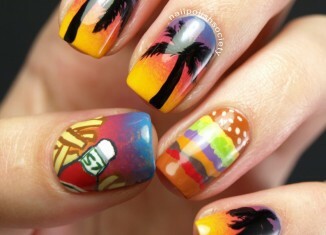 Because of nail art my personal style has really expanded. Thank you so much Erin! We hope you enjoyed reading this interview. 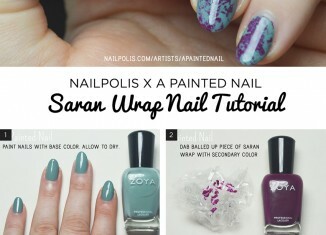 Don’t forget to visit Erin’s blog & follow her nail art on Nailpolis! 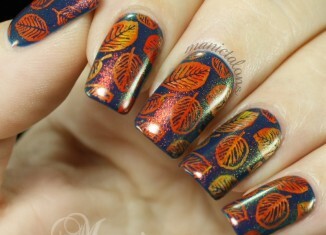 Nail Artist Interview: 15 Questions With Paulina from fall in...naiLove!